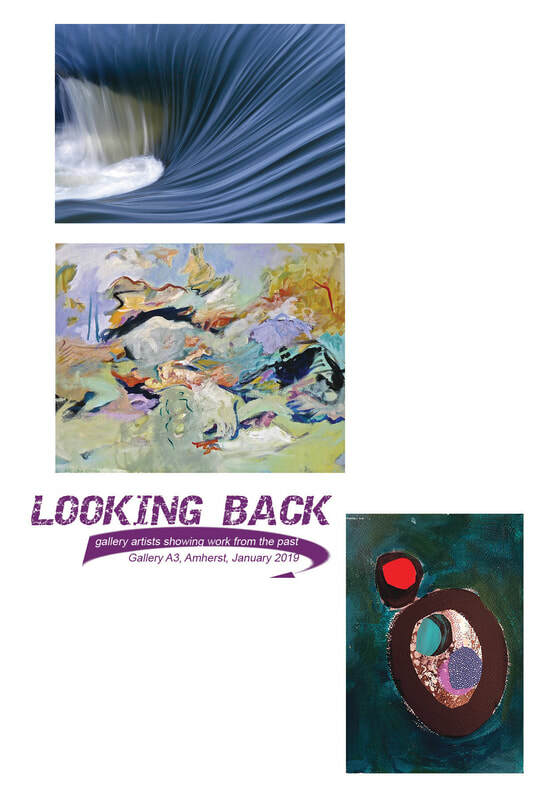 Looking Back • Gallery A3 artists exhibit selected past work. During January 2019, members of Gallery A3 in Amherst will exhibit selective works from earlier in their artistic careers. Some may choose pieces illustrating changing interests over time, others may select works particularly important in their careers, others may simply choose a few of their “favorites”. Gallery supporters familiar with more recent member exhibits may be pleasantly surprised to see this earlier work. Area residents not familiar with recent gallery shows will be pleased to see an interesting variety of media, styles, and techniques on exhibit – painting, mixed media, sculpture, and photography. The exhibit opens with Amherst Arts Night Plus, Thursday, January 3, 2019, 5-8 pm. An Arts Forum free and open to the public will be held on Thursday, January 17th, 7:30 to 8:30 pm.